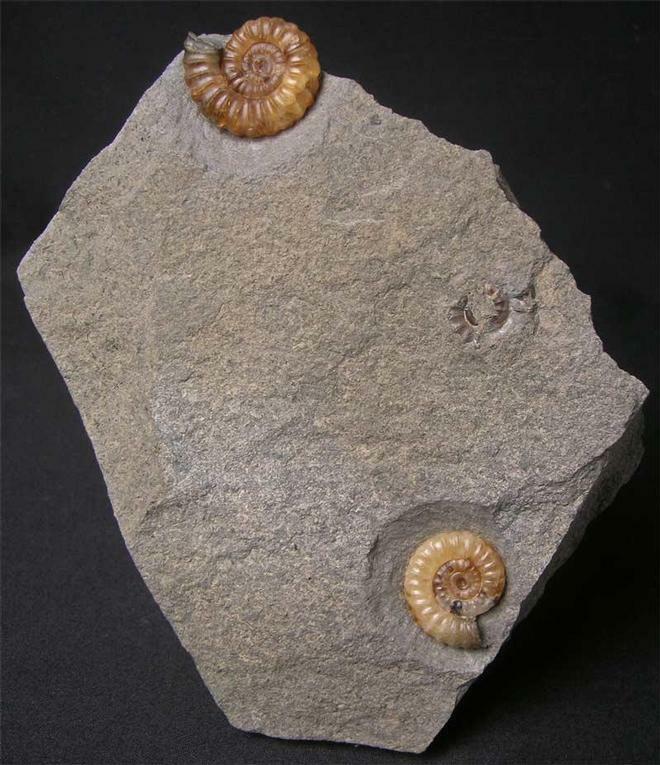 A lovely example which exhibits three solid calcite ammonites which lie on an aesthetic piece of matrix, which also has a cut base for upright display. A classic piece from a world famous location situated on England's Jurassic coast. Approximately 200 million years old. 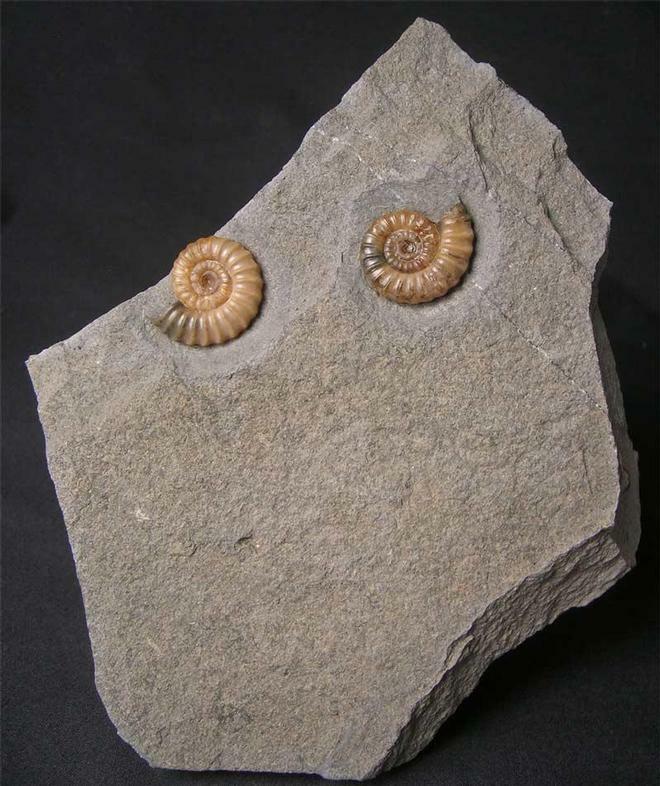 Again another very well preserved double Promicroceras piece from Engalnd's Jurassic coast. 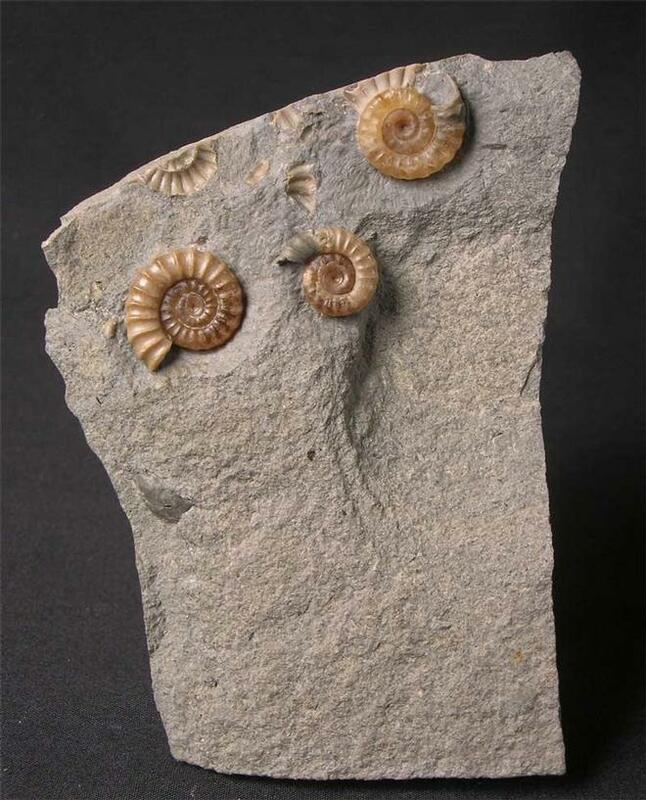 Both ammonites are solid calcite and are approximately 200 million years old. The matrix has a cut base for upright display. A unique gift idea. A really nice double Promicroceras piece which has two cut bases for alternate display. Both ammonites have been preserved in various shades of yellow calcite. Approximately 200 million years old. A lovely and unique gift idea. A substantial piece of matrix (202mmx170mmx32mm) which exhibits a wonderful solid calcite ammonite, and in the top corner a fragment of wood from the ancient 'Monkey Puzzle' tree. 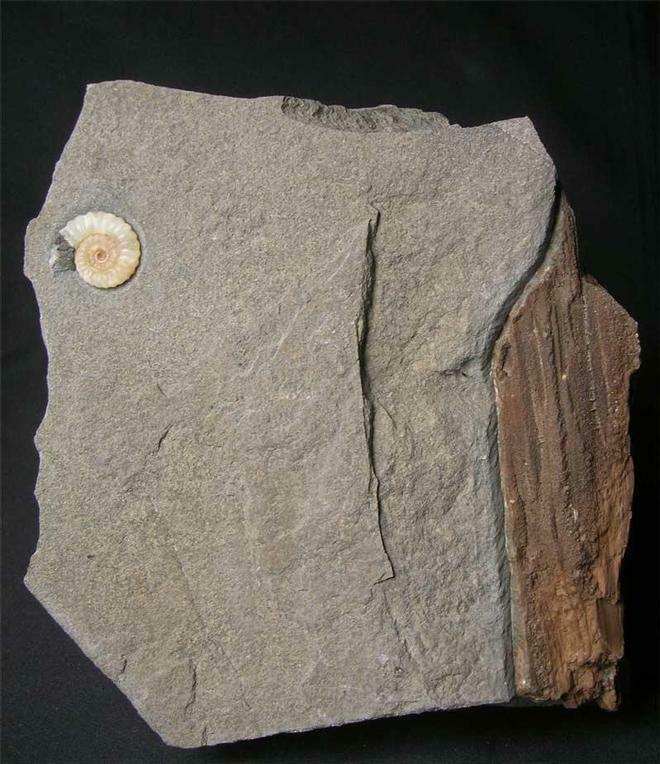 This superb fossil is highly aesthetic and would grace any home or indeed office space and is totally unique. The matrix has a cut base for upright display. Approximately 200 million years old. Prepared by Andy Cowap.